After a long journey (more than 30 years experience in research and teaching in Medical Genetics USA/UK/India ) in the field of Human Genetics and Biotechnology , we have ventured in promoting Education, Training and Research in the field of Genetics and Biotechnology. 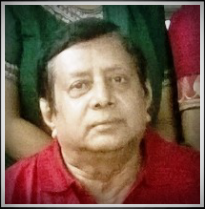 It is my honest disclosure today, in the year 2002 , Sudipa Basu step in my life and motivated me to settle in Kolkata and promote the same subject (Genetics and Biotechnology) We have Set up a non-profit making trust named “ BIOTECH FOUNDATION”, for promoting Education, Training and Research in Genetics and Biotechnology. Our first dream child named “INSTITUTE OF GENETIC ENGINEERING (IGE)" was born in 1st September in 2003 affiliated to University of Kalyani and opened with two under graduate courses in Microbiology and Biotechnology onwards we have added Genetics and Molecular Biology in the year 2004 under same University. In the year 2006, some unavoidable circumstances forced us to join West Bengal University of Technology (WBUT) and obtained PG course (M.Sc) in Genetic Engineering along with all B.Sc (Hons) courses. Now we have PG ( M.Sc) courses in Genetics instead of Genetic Engineering and added M.Sc in Biotechnology from 2012-2013 academic session. So our course structure and content in B.Sc (Hons) curriculum are distinctly different than any other University in India. We have selected two compulsory pass subjects like Chemistry and Computer Application to be learned in all UG courses which is made our course curriculum unique compared to other courses available in India. Our advanced laboratory facilities in Molecular Cytogenetics (FISH / HR-ARRAY CGH) ,Molecular Genetics ( PCR Based diagnosis / DNA sequencing) Advanced Tissue Culture ( Plant and Animal ) Laboratory and Animal Models ( Drosophila, Zebra Fish, Mice) Research Laboratory facilities could support Post Graduate and Ph.D program. We can assure you about our high standard of teaching with modern aid along with digital library (online e-journal facilities ). We have extended our facilities to pursue Ph.D Research Program under various Universities ( West Bengal University of Health Science . Jadavpur University / West Bengal State University ) after Post Graduate and have an opportunity to join in our teaching program ( already some of our students joined ). Our heartiest welcome to all of you participating in our curriculum and supporting our mission in West Bengal.